Look at the way the light hits these tater tots! 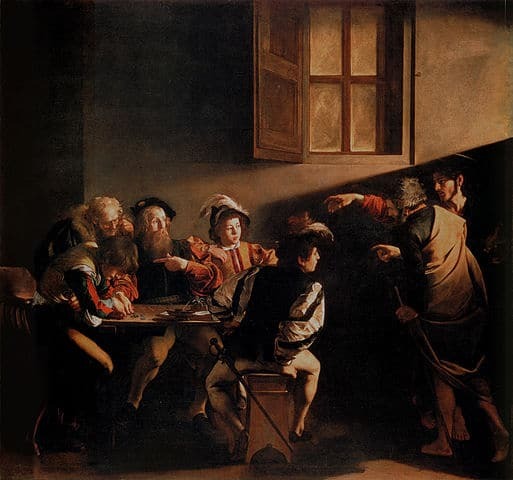 As I poured myself a glass of Gundlach Bundschu Chardonnay (the 2011 hailing from California’s Sonoma Coast), graciously sent to me as a sample by the winery, I could not help but think of Caravaggio‘s famous work, “The Calling of Saint Matthew“. Though this image did not instantly convert me to a tot-based religion, I did experience an ecstatic food and wine pairing. Who ate all the tots and drank all the Chardonnay? If you’re wondering about my relatively new-ish obsession with oak-aged Chardonnay, I have found that over the course of my wine-drinking life, the pendulum swings back-and-forth on what I enjoy to drink, style-wise. (Brian Boitano agrees with me. Just sayin’.) 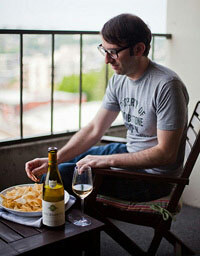 At one point I was savoring nothing but the lightest of white wines with searing acidity. Now? I like a little heft in the glass. The Gundlach Bundschu is not clubbed with oak; only 20% of the barrels used to age it are new. And a good chunk (20%) of the juice is fermented in stainless steel. So you have a nice balance between richness and freshness. 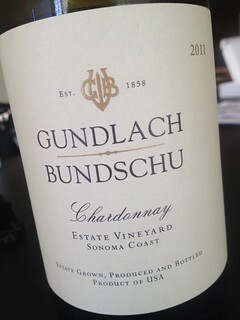 The 2011 Gundlach Bundschu Chardonnay has a gentle hug of oak. Let it embrace you. A final note: Don’t get hung up on how to say (or spell) Gundlach Bundschu, just go forth and revel in the pleasure of its duet with tater tots. I think tater tots are one of the world’s best food groups! I didn’t know anyone besides Taco Time and Ore Ida did them, so I will check out Blue Moon’s version. And, I too, have rediscovered Chardonnay and respect Gundlach Bundschu greatly. Thanks for the enlightened post, Jameson. Thanks, Lissa! 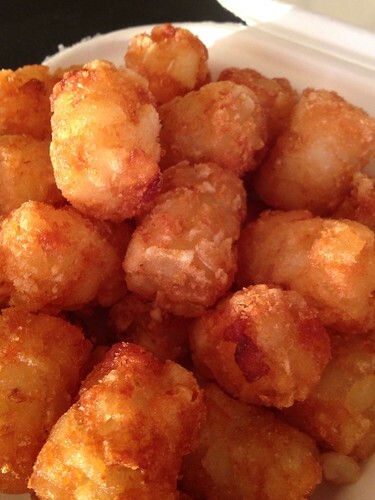 I agree, tots deserve their own food group. Have a bottle of Gun Bun Chardonnay in the fridge and get those tots to go. I appreciate your nice comment; I had a lot of fun writing it. Love how you paired tater tots, I have never tasted them though we have plenty of Belgian fries in Belgium – see how i called them Belgian and not French there? 😉 Caravaggio is very much my inspiration. Maybe I should open up a tater tot shop/cart in Belgium? Or is that a heretical way to treat fried potatoes? Thank you for the comment. I never thought I’d look at how the light struck a tater tot and think of Caravaggio, but glad to see my dalliance with Art History has proved a useful reference point. Tots as a pairing…. Next time, be sure to eat them with tooth picks in order to keep it classy. Duly noted! You’re like the Martha Stewart of wine bloggers.